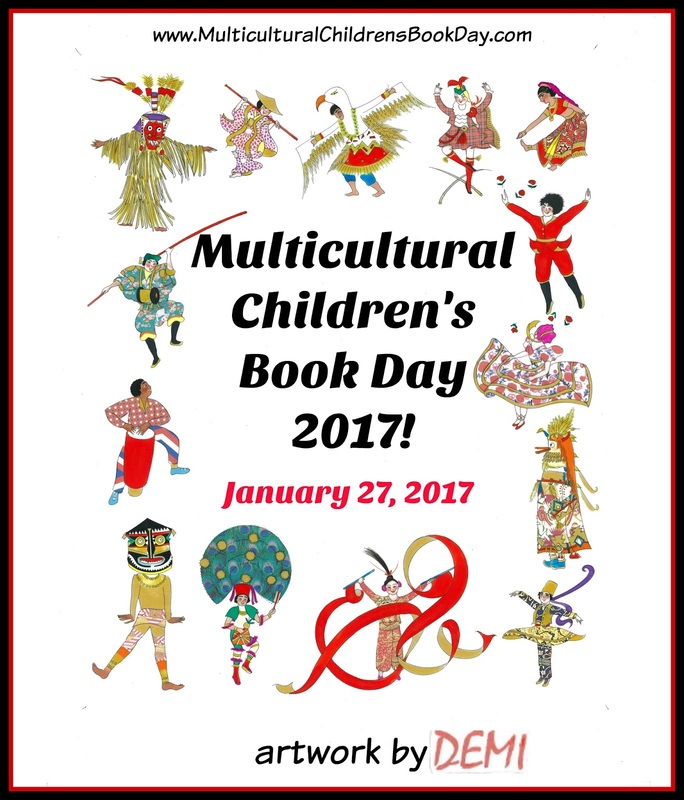 Multicultural Children's Book Day is an annual event on January 27th where bloggers, teachers, authors, and parents come together to celebrate and promote diverse books for children. As a co-host for the event, I will be helping host the big day-off linkup of diverse book posts, and I also received books to review for the event. 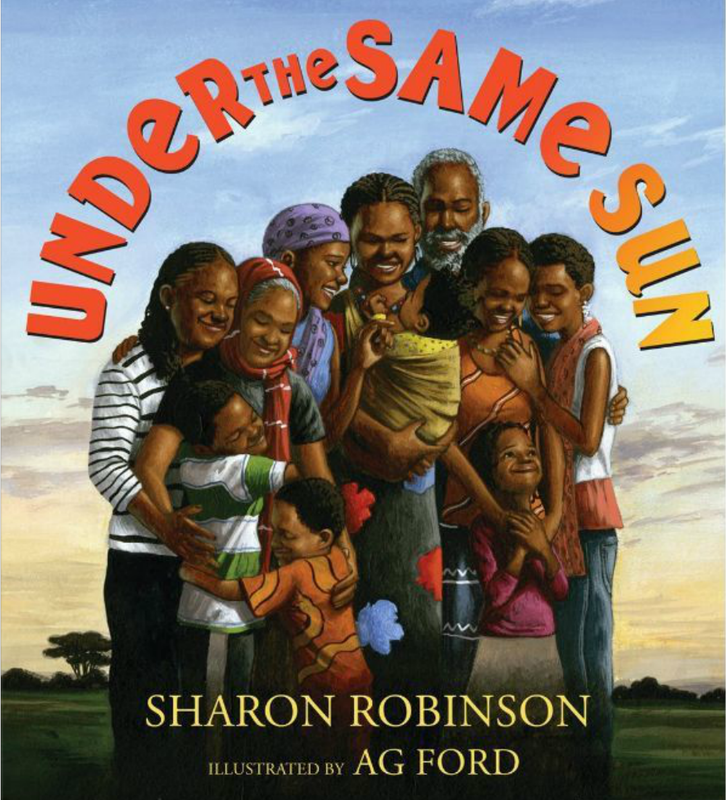 Under the Same Sun (2014) by Sharon Robinson and illustrated by AG Ford. This memoir tells the story of Sharon and her mother's visit to Tanzania to see her brother David and his family. The universal nature of family and togetherness is celebrated as the continents come together. The family goes on a safari and spends a few pages enjoying African animals. The trip ends on a somber note as the families visit the historic slave port of Bagamoyo and discuss their personal history of enslavement, but they turn it to a positive note by thinking about their freedoms and personal connections. This is a powerful book for presenting one possible outcome of a family history study in an African-American family. 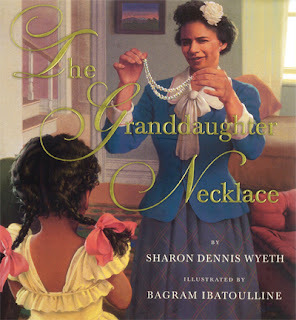 The Granddaughter Necklace (2013) by Sharon Dennis Wyeth and illustrated by Bagram Ibatoulline provides another version of an African-American family history story. This one is told from the present moving backwards as it traces the progression of a crystal necklace from daughter to mother to mother (and back and back and back). Inspired by the author's own family history, the necklace turns out to have originated with an Irish woman who immigrated to America and married a free black man in the mid 1800s. Big News! 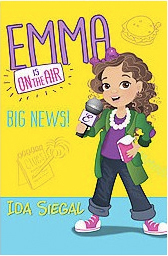 (Emma on the Air, book 1) (2015) by Ida Siegal. This charming new series features third grader Emma who has decided that a TV reporter is a perfect job for her to become famous! With the help of her dad (a "boring" newspaper reporter), Emma breaks her first story about a mysterious worm-burger, which sets her off on a detective-style search for the truth. Emma's dad is from the Dominican Republic, and there are a variety of Spanish phrases thrown into the story too. I can imagine this series inspiring quite a few citizen journalists. The series currently has four books. Making Friends with Billy Wong (2016) by Augusta Scattergood. Most books set during the Civil Rights Era focus on discrimination against African-Americans, but in this story, Azalea is shocked to discover there is a "Chinese" boy living near her grandmother's house, where she has been dumped for the summer. Billy's perspective is told through interspersed poetry, and he worries about friendship and starting at the white school in the fall. This is a very gentle introduction to racism geared towards the younger end of middle grade readers. Multicultural Children’s Book Day (01/27/17) is its fourth year and was founded by Valarie Budayr from Jump Into A Book and Mia Wenjen from PragmaticMom. Our mission is to raise awareness on the ongoing need to include kid’s books that celebrate diversity in home and school bookshelves while also working diligently to get more of these types of books into the hands of young readers, parents and educators. But we couldn't do it without the help of our wonderful sponsors, authors, and co-hosts! I love Mike Jung's books, GEEKS, GIRLS, AND SECRET IDENTITIES and UNIDENTIFIED SUBURBAN OBJECT. They're both from Arthur A. Levine books, an imprint of Scholastic. Nice! I thought Unidentified Suburban Object was such an interesting book. Thanks for sharing. Loved all the books shared over here. I think they're great tools to grow awareness and acceptance towards diverse identities. Thanks, Priya! The more kids read about other kids, the more their hearts will grow. 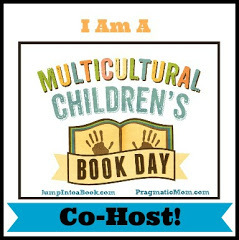 Thanks for all your great book reviews and for your support of Multicultural Children's Book Day! I'm glad you liked all the books!! !